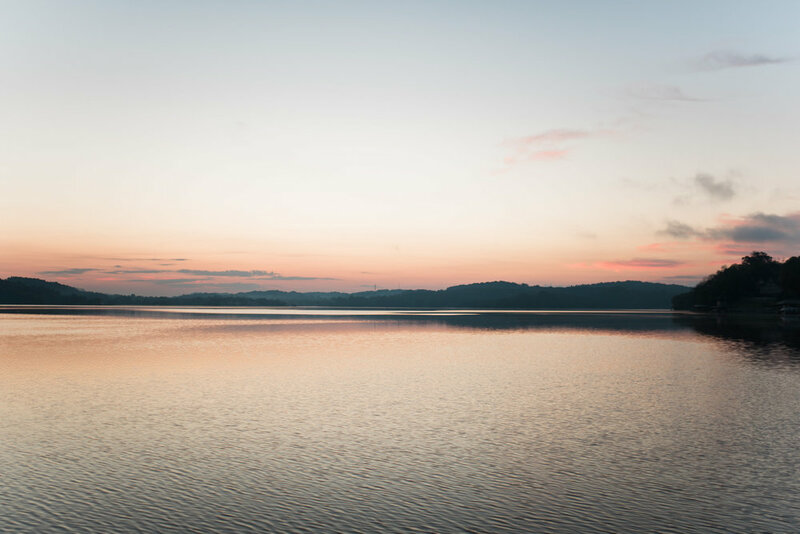 Sail Knoxville was born when after talking to others about their passion for sailing over the years, Dan & Amy Tankersley began to realize that although lots of people in East TN enjoy its water life, very few had ever sailed. 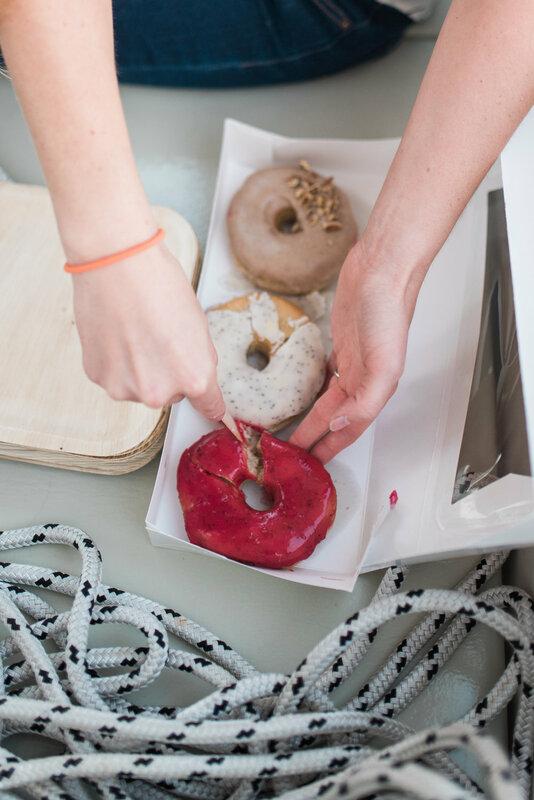 Time after time, they were asked, where can we sail in Knoxville? 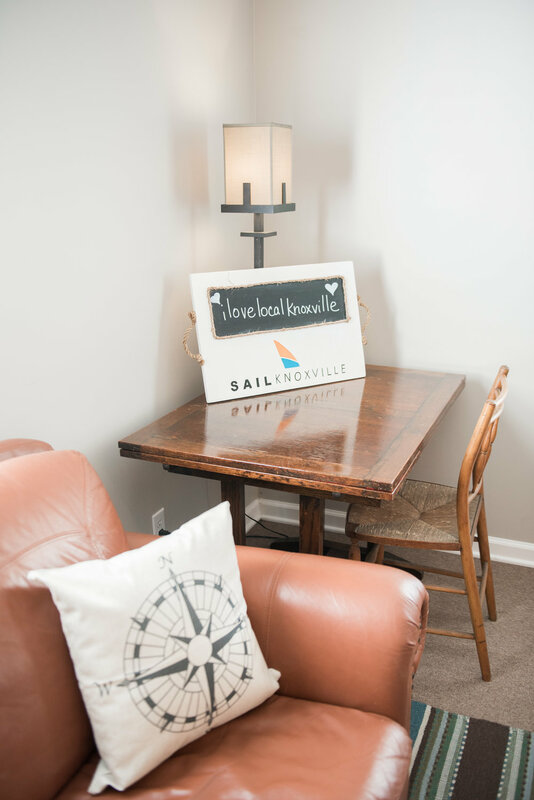 It became clear to them that although local yacht clubs and sailing centers offered summer sail camps for kids and sailing lessons for adults, there remained a real need for a local sail charter in Knoxville. This was the beginning of Sail Knoxville. Over the next months and years, Dan & Amy began researching the requirements and preparing for the journey ahead. For Dan, this meant formalizing his sailing experience and education by obtaining his USCG Master Captain designation. For the boat, it led to a complete mechanical redesign and refitting. The classic design of The Knoxville Girl, a 26’ Nonsuch Ultra cat boat, made for an ideal sailboat with one not-so-minor exception. Technology had totally changed since 1987. Most notably, the 18 horsepower diesel engine was completely replaced with an all electric propulsion engine, making for clean, green and silent sailing in any wind condition. A solar panel bimini was also designed to recharge the batteries to take the boat completely off the grid. 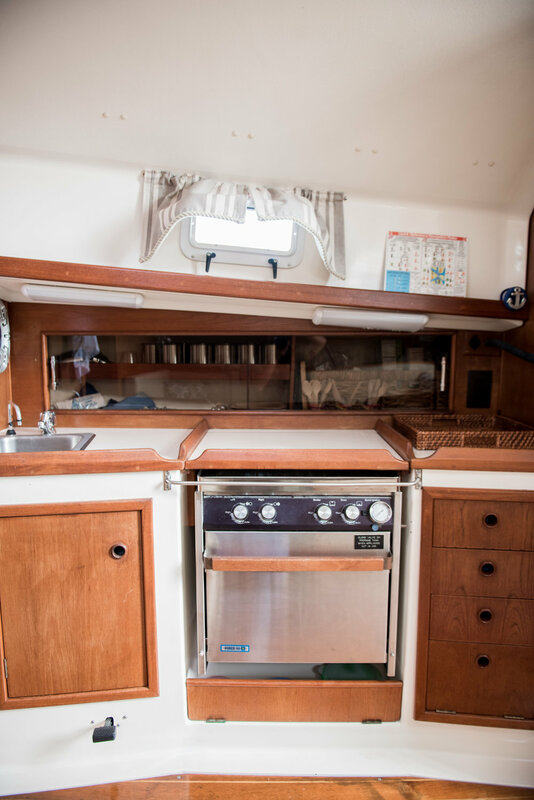 While Dan tended to the mechanical overhaul, Amy oversaw the restoration and appointment of the cabin, including the teak, upholstery, lighting and sound. All of this to bring you SailKnoxville. 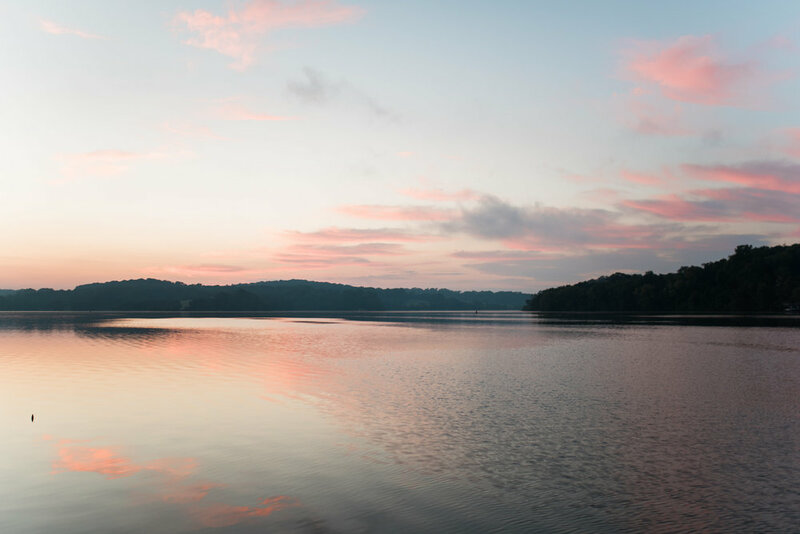 SailKnoxville offers small yacht sailing cruises on Fort Loudoun Lake for 1 to 6 passengers. 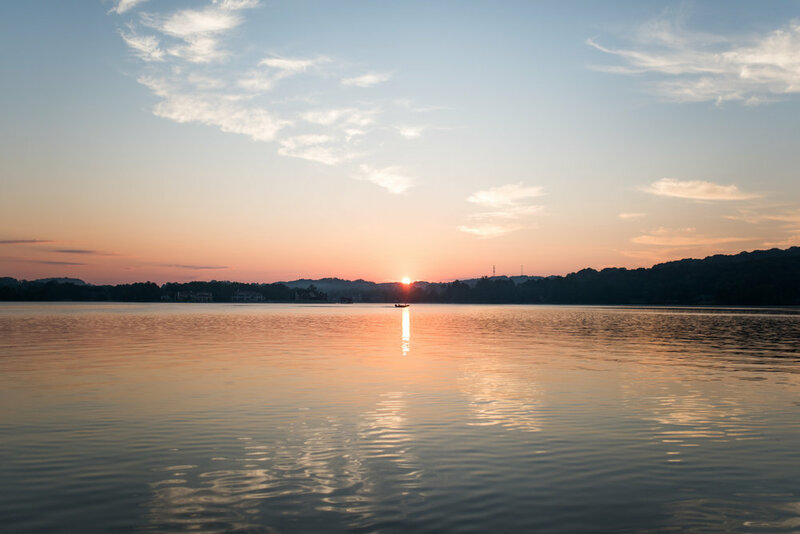 It’s a unique way to experience the breathtaking beauty of life on the water in East TN and to celebrate a special time in your life with close friends and family. Water is life. Come experience it at Sail Knoxville. If you love the water, have a sense of adventure, and enjoy interacting with nature, sailing is for you. Catching the wind in your sails and experiencing it’s power to move you through the water is indescribable. It’s a natural high that runs a gamut of emotions - from soothing and relaxing to exciting and exhilarating. We all have occasion to thank those who contribute to our success. 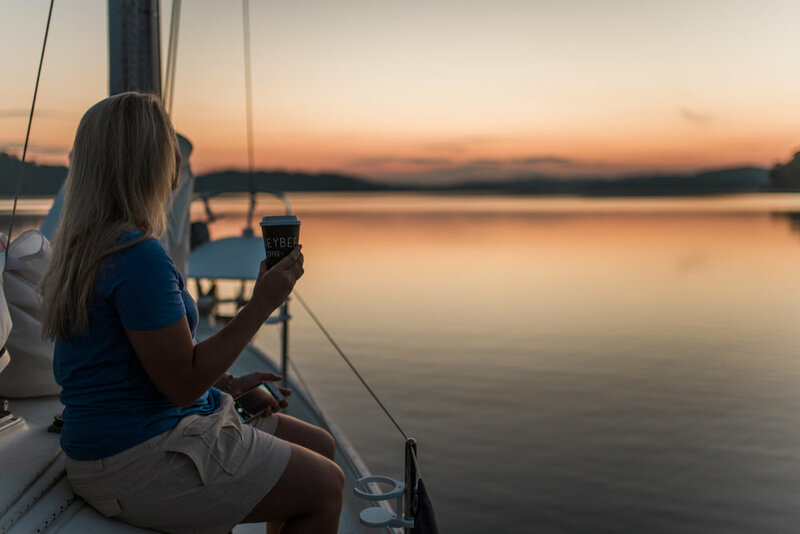 Whether it’s a client, employee, teacher or mentor, there’s no better way to celebrate them than a Sail Knoxville Private Charter. The Private Charter Base Sail includes 2 passengers for 2 hours. Easily add additional time or passengers (up to 6) as you need. Sail Knoxville helps you celebrate those who help you succeed! Meet Captain Dan and his First Mate Amy. 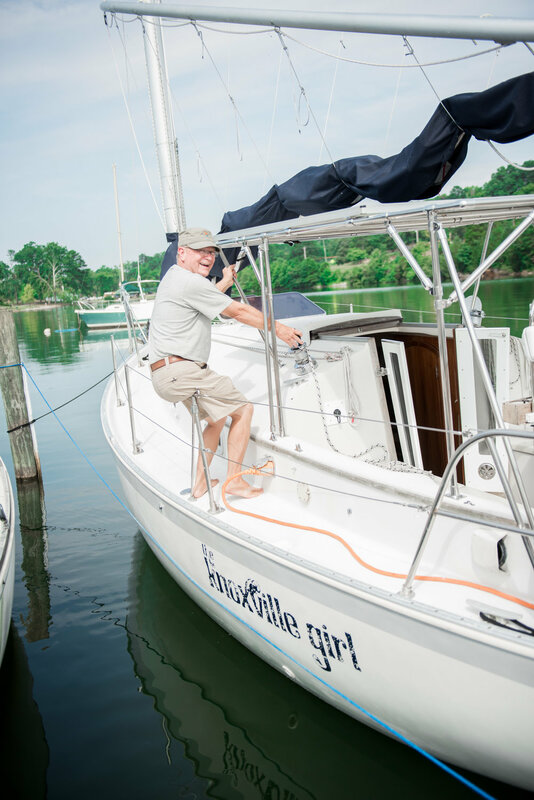 Dan Tankersley is a native Tennesseean who has been sailing its waterways since the 1980s. 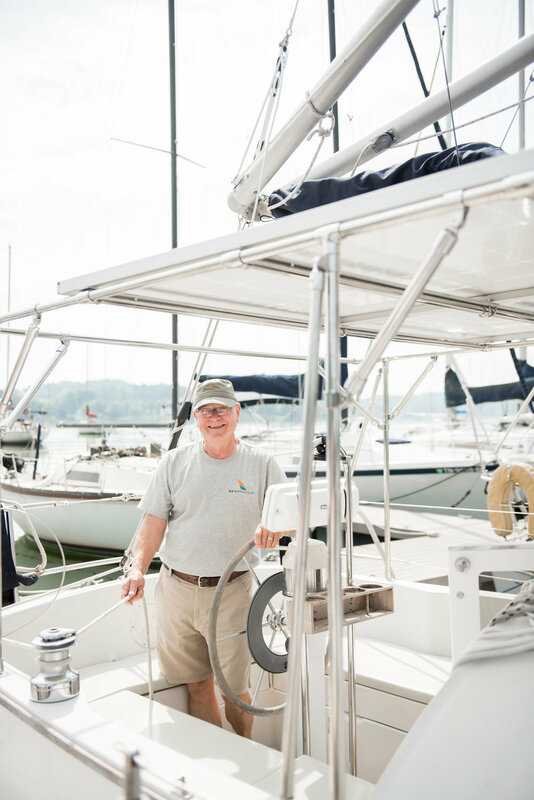 A baby boomer and retired corporate attorney, Dan has turned his passion for sailing into a retirement career. He currently holds the official title, United States Coast Guard Merchant Marine Master Captain with a 50 ton vessel rating and sail endorsement. 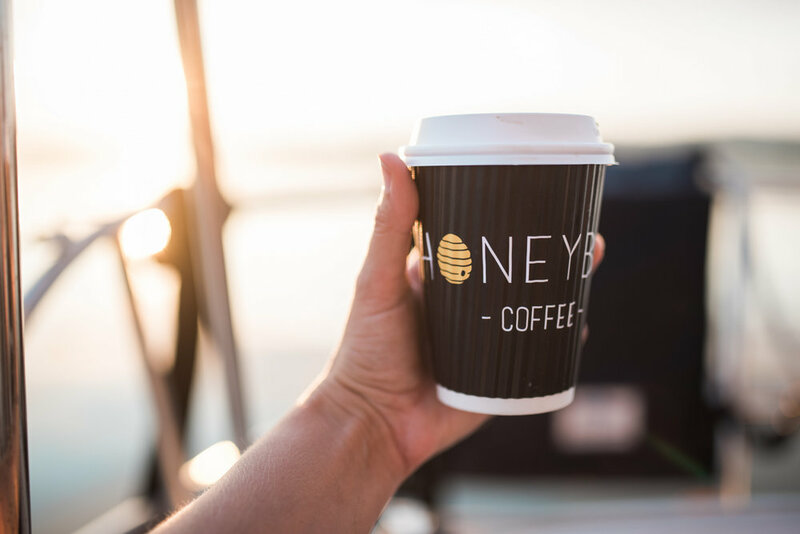 This means Captain Dan knows how to keep you and your crew safe while enjoying the experience of sailing. 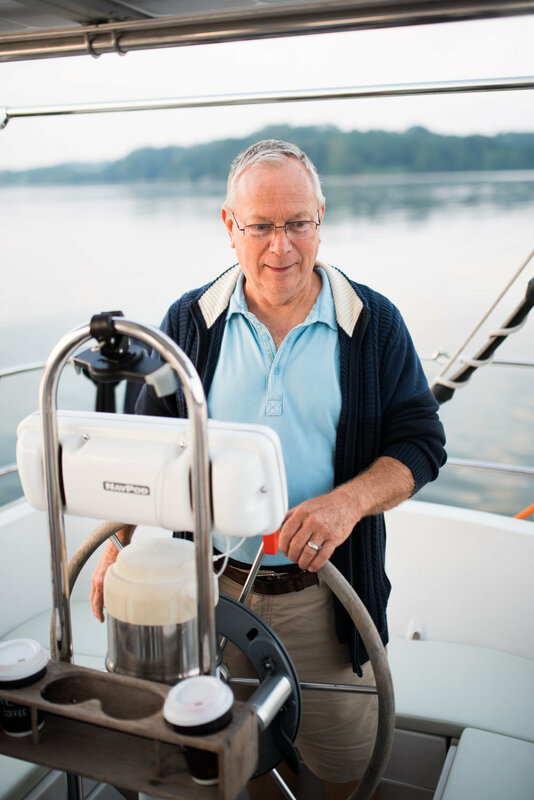 Dan is active in the local sailing community, currently serving as Secretary of Concord Yacht Club. Dan is happily married to his First Mate, Amy, a board certified massage and yoga therapist. 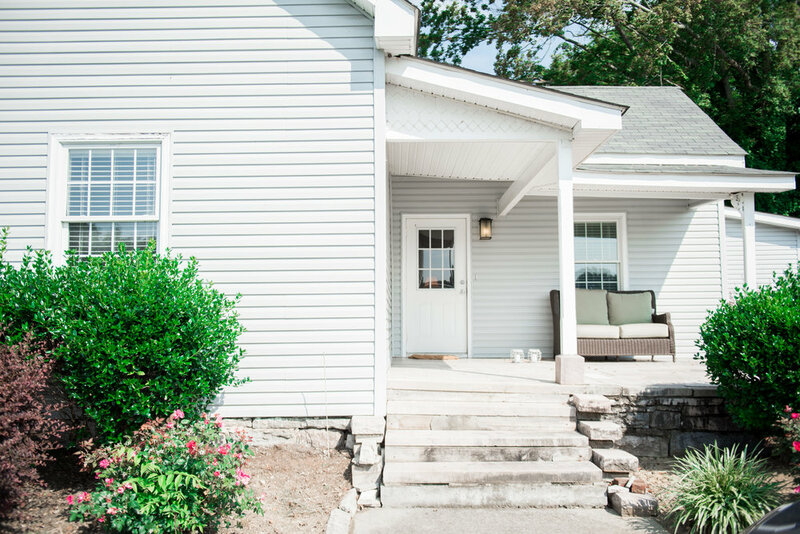 Amy maintains a healthy private client practice in Historic Concord as well as working with guests at the acclaimed Wellhouse at Blackberry Farm. Amy will gladly help tie you up in knots or work them out while you’re on board with yoga and massage services. Dan and Amy set sail together 6 years ago, tying the knot aboard The Knoxville Girl. Together they are navigating life’s waters, being the wind in each other’s sails and always finding safe harbor anchored in Love. 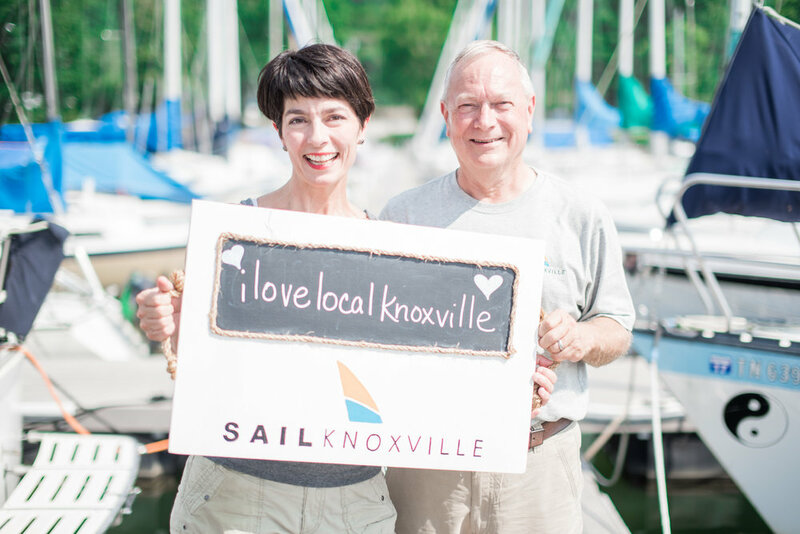 They welcome sharing their passion for sailing with you and invite you to SailKnoxville.